Role Play is Book 1 in the Play Series, however, there is an HEA with no cliffhanger. Phil and Terry’s exploration into their new life together will continue in Book 2. I normally love Morticia Knight books – but this seems like it was not her style. Phil and Terry are kind of an odd couple. It is hinted that they had a great relationship; one that would have lasted them a lifetime. But, when Phil is given an amazing opportunity, he leaves Terry behind without a second thought. Three years have passed. Terry is a successful photographer who is trying to continue on with his life, but not doing it very successfully – he's existing, but not really living. Also, he's on edge when he has to work with an "up and coming" actor, Anson, who is slipper and slimy. Phil comes back hoping to rekindle things with Terry now that he has figured out that he is a dom. He believes that Terry is a sub, based on how their relationship roles were before, and is almost desperate in his attempt to see if Terry wants to try again – can trust Phil again. This is where I have my largest qualm with this book – Terry instantly forgives – after three years of no contact, he's just ready to jump head first again. And, while I don't believe in punishing unnecessarily, it seems that there should have been more of a developing story. Not only does Terry forgive, but he tells Phil a secret fantasy of being forced by a stranger – a role that Phil takes and runs with. Now, while this isn't super graphic, there are implications for future book storylines and scenes. Another aspect that seemed strange was the ending. Now, while I can see that there is going to be at least one more book, the ending to this one was so abrupt that I had to go back and make sure that I hadn't missed anything. This just wasn't the type of writing or story that I had come to expect from Knight. I am hoping that the second installment goes better. This book was just okay for me. In some aspects, it had too many details and then in others, it didn’t have enough. There were also spans of time not covered and just jumped to, that seemed to bother me as well. I love the author and I am hoping the next installment is better. So, curious to get to the next in the series. 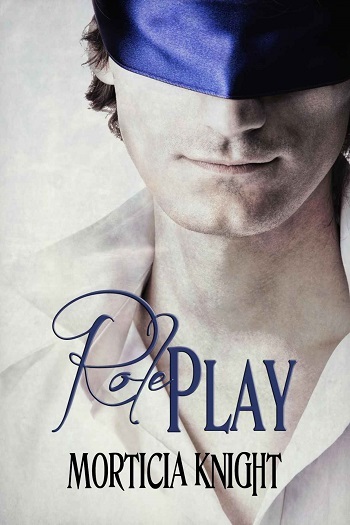 Reviewers on the Wicked Reads Review Team were provided a free copy of Role Play (Play #1) by Morticia Knight to read and review.